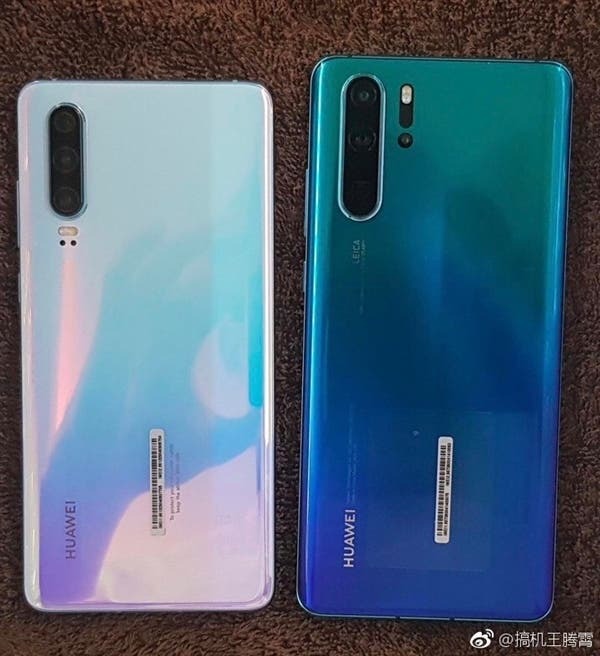 At less than 24 hours from the official launch of the new Huawei P30 series, we’re now receiving the last pieces of the puzzle before we get to see the phones in the hands of a company rep.
For the first time we also manage to see the Huawei P30 and P30 Pro side by side, which is a pretty good way to compare the size of the two. 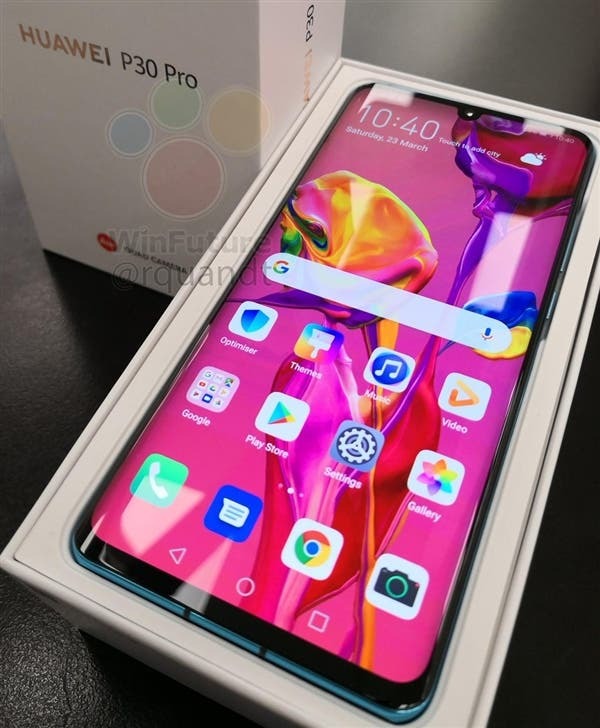 So, with no surprise, the P30 is smaller than the Pro variant, which makes sense as it’s expected to sport a 6.10-inch display against the 6.47-inch OLED panel of the P30 Pro. Since we’re having a look at the back, we also notice the difference in the camera layout. We have three vertical snappers on the P30, meanwhile on the P30 Pro we find an additional fourth camera with a TOF sensor used to capture 3D data information and whatnot. Both phones also seem to have curved back covers, which helps in handling and makes the phone feel smaller in the hand. 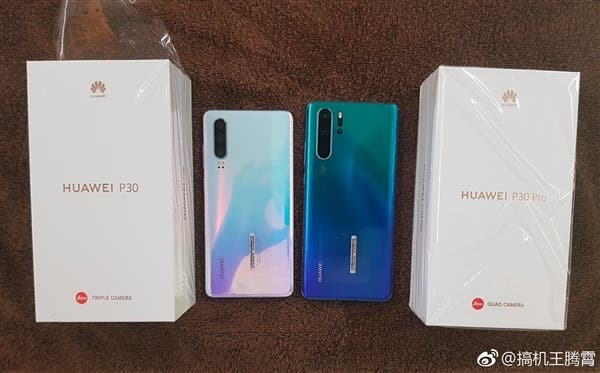 From this other photo above we can also have a look at the front of the Huawei P30 Pro, appearing with a thicker chin you’d expect to see on a flagship phone in 2019. 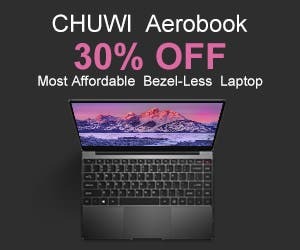 Other specs on the two devices will include a HiSilicon Kirin 980 SoC, 8GB of RAM and 128GB storage, all of that powered by a 40W fast charging system.